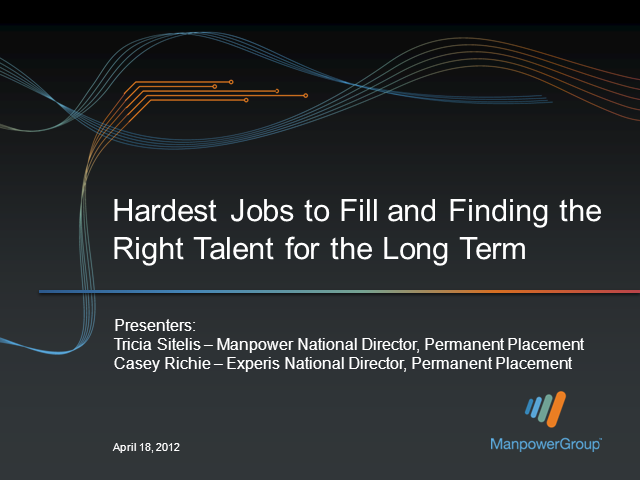 According to ManpowerGroup’s Annual Talent Shortage Survey of nearly 40,000 employers across 39 countries and territories, the overwhelming majority (89 percent) of companies cited a lack of experience, technical skills, deficiencies or poor soft skills among available candidates as a bar to employability. How is it that with unemployment at the highest levels we’ve seen in recent history, employers aren’t able to find talent? Learn more about what some employers are doing to navigate the complex and challenging landscape and learn ways to find the right talent for the job and your company – and that shares your vision and contributes to success – for the long term.